After a long, stressful day at work, wouldn’t it be great to go to the spa for some pampering? Sadly, a daily spa visit isn’t very practical. 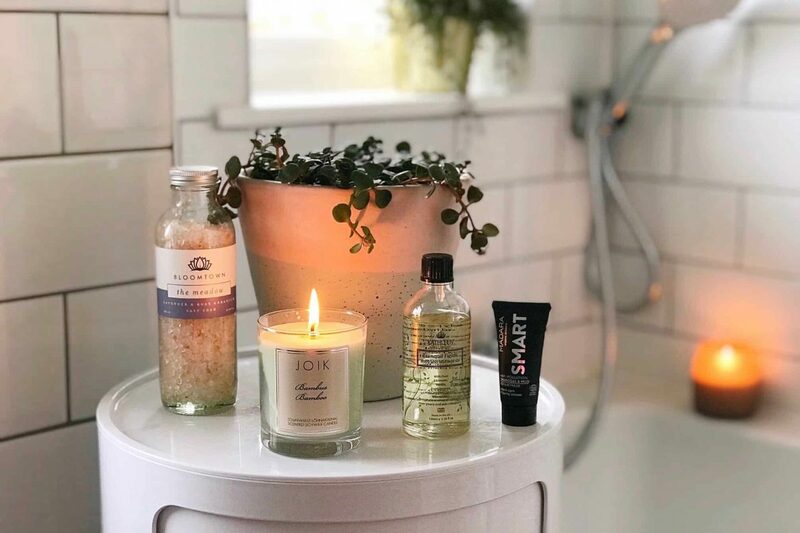 Luckily, creating your own tranquil bathroom at home is the perfect solution, and it could be easier than you think. 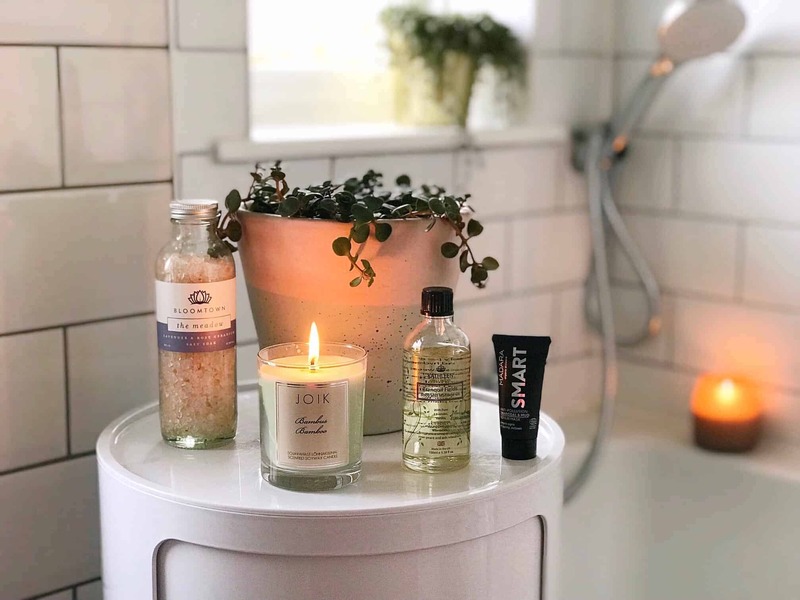 When it comes to having your own tranquil bathroom, there are five essential things you need to get it right. Keep your bathroom scheme simple, with no more than three colours throughout. Nature-inspired colour choices like grey, green, or blue give the bathroom a calming, natural feel. If you have a smaller bathroom, opt for lighter, neutral colours such as white, pale grey, or even pale pink to help create a spacious look. 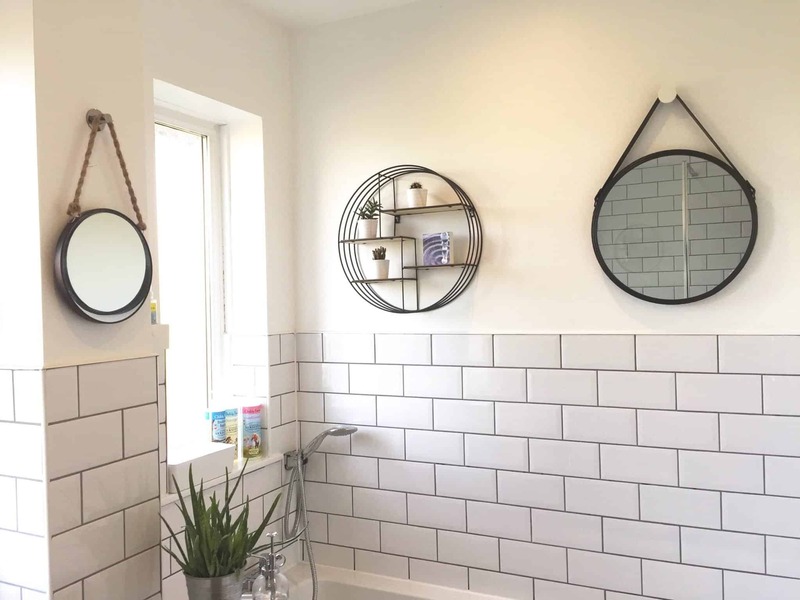 You can see more of the light, bright monochrome look we created in our bathroom here – we stuck to a black, white and grey palette to ensure it would not date. Your floor is just as important as the other fixtures and fittings. Check out faux wood tile flooring, which is available in ceramic or porcelain. The natural look of wood brings a spa-like feel to a bathroom and the durable materials last for years, without the worry of it rotting. Keeping the flooring in the same colour palette as the walls gives a contemporary look. Natural lighting is best in a bathroom, so think carefully about window coverings so they offer privacy and filtered light, rather than blocking it completely. 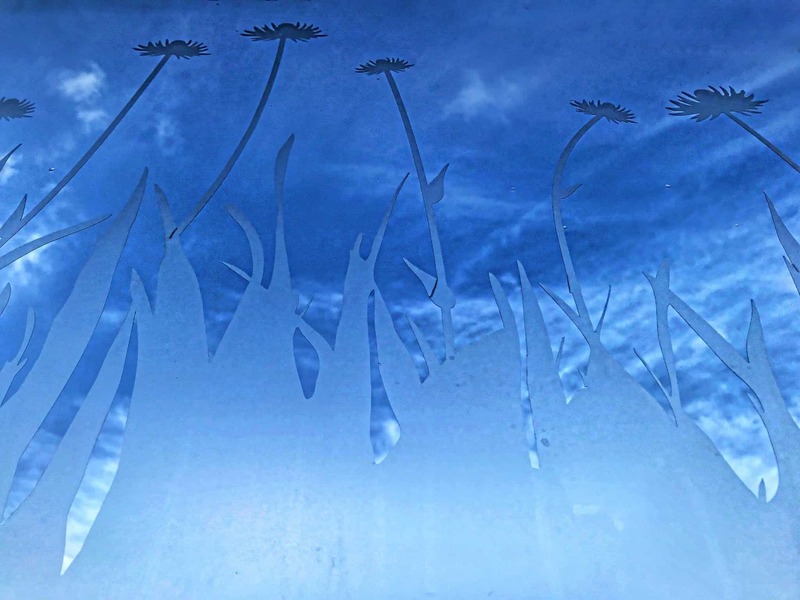 Our bathroom windows have rather dated privacy glass, and one day I’d love to replace them with plain frosted glass. You could consider frosted film as an alternative. We used frosted window film in our girls’ playroom and it was much easier to put up than I was expecting. Of course you’d want a pattern with a little more coverage for a bathroom window! Ceiling lights are key in the bathroom, as they are practical as well as safe. I wish we’d installed a dimmer switch to soften lighting when having a bath, without taking away the bright lights needed for applying make-up or eyebrow plucking. Spotlights and down-lights can be added for focus on sinks, mirrors, cabinets or other high-use areas. Don’t forget to add candles around the bath for more ambiance, especially if you don’t have a dimmer switch. Even the smallest bathroom can have room for a luxurious, relaxing bath. We are trying to save water and other natural resources, so we chose a bath that is deep enough for a luxurious soak, but not too wide. 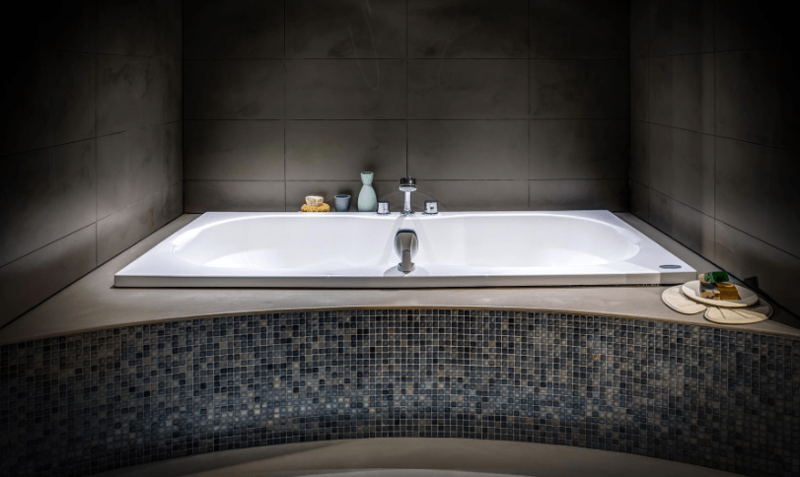 When it comes to choosing spa-quality fittings for your tranquil bathroom, I think it’s worth spending more on good quality fittings, as this is one room you don’t want to scrimp on. A new bath will give your bathroom a chic, contemporary look while providing much-needed relaxation and tranquillity. Why not push the boat out and add whirlpool jets, water heaters and mood lighting like this bath of dreams? If you’re looking for tranquillity, those soothing water jets can’t be beaten! We also invested in underfloor heating, for an added touch of luxury. 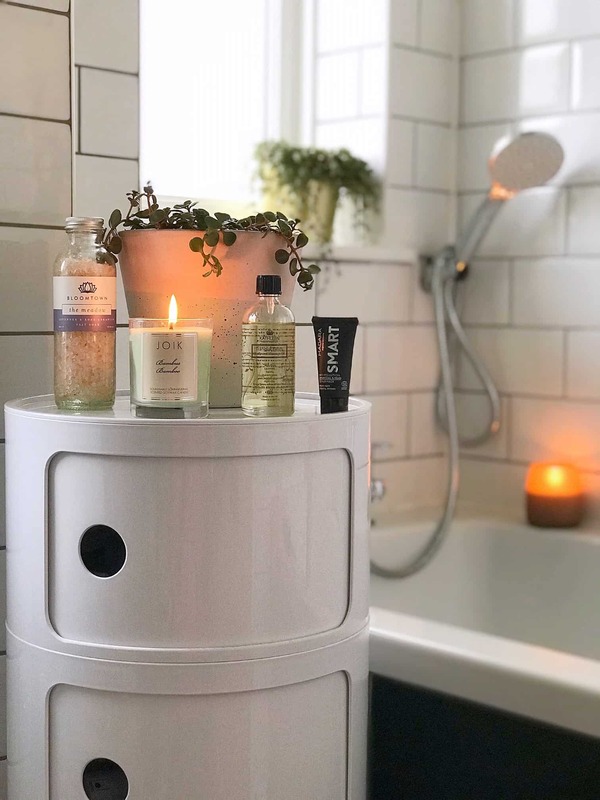 A clutter-free space is more tranquil and relaxing, so try and make sure your bathroom stays organised. Limit the number of products in the shower and bath area to de-clutter the space (easier said than done for me, as a beauty junkie). Same with the countertops, keep only items used every day on the counter surface or in a cabinet, out of sight. Consider your storage options carefully so that they blend in with your décor. Clear or white shelving will smoothly compliment neutral wall colours and provide much-needed storage. Store supplies in pretty containers or natural baskets for a contemporary look. We got a tall round cabinet (pictured below) which stores tonnes of stuff without taking up too much floor space. Look out for luxurious bathmats and towels in colours to compliment your decor. As part of turning your bathroom into a tranquil space, you could include artwork, photographs and other touches. I love scented soy wax candles, or natural oil diffusers alongside my natural body washes and lotions. 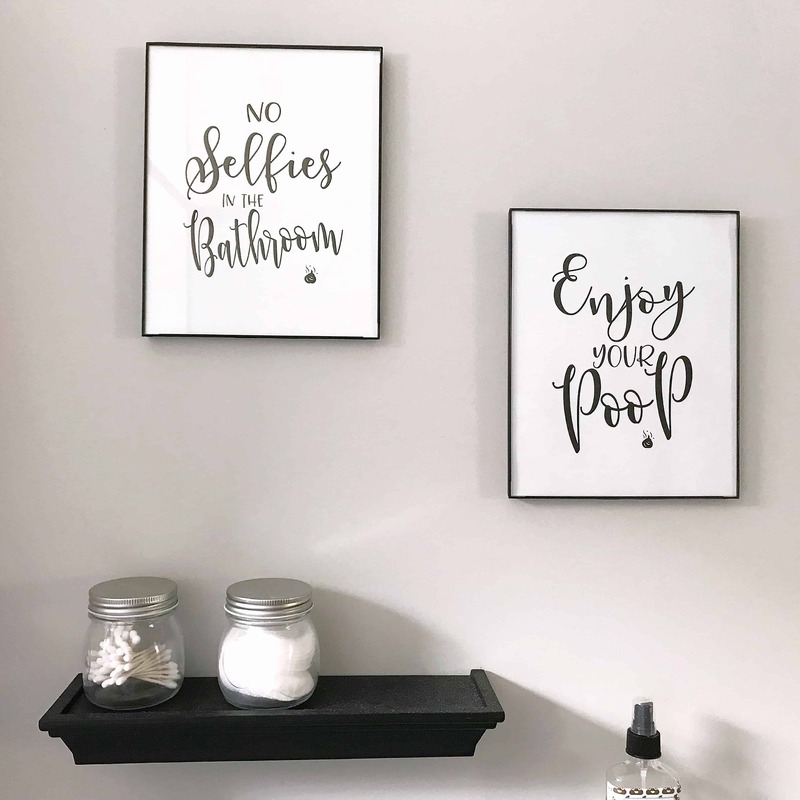 I loved the bathroom of the Air B and B I stayed at in Nashville – the host put up funny pictures that injected a little personality into the space, plus little jars of cotton pads and buds. Let’s not forget music; calm music for meditation while soaking in a beautiful luxury bath is the ultimate in tranquillity. You could create a relaxing playlist and add a waterproof Bluetooth speaker to your bathroom. You can get the benefits of relaxing in a peaceful, tranquil space with just a few renovations and style additions. Your bathroom can become your own private oasis, away from the stress of the world outside. Pure bliss.